Recently my buddy Sandor Elix Katz sent me some soumbala. Soumbala also called nete, nere, or netetou is the fermented product of the locust tree (Parkia biglobosa) of West Africa. From Chad to Senegal this is the traditional umami ingredient. 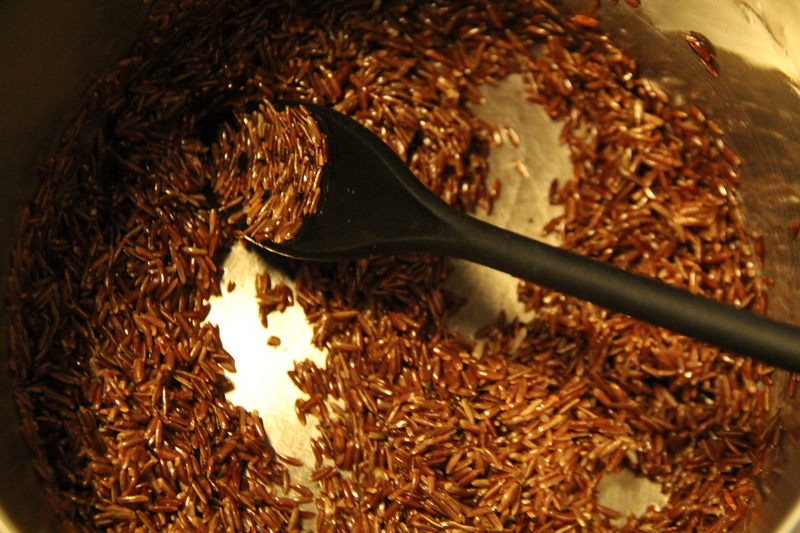 It is under threat from soy sauce and boullion cubes like Maggi from being preserved as a traditional flavoring agent. You can order it online, and it does not cost that much. It’s very strong and pungent so a little goes a long way. Comparatively though you will get the smoky, savory taste that is uniquely West African. Here we take a global classic out of Asia and “Blackify” it by adding ingredients more traditional to or indigenous to West and Central Africa. And yes the red, the black, the yellow and the green elements are there to call mind to the Pan-African dream. Experiment and enjoy! 1 cup of cooked black eyed peas—NOT MUSHY just cooked till done and tender! Optionals: 1 cup of scrambled eggs, cooked shrimp or leftover poultry or meat or tofu. Heat 1 tablespoon of oil in a wok or large skillet until very hot. Add the garlic, scallions and ginger and cook, stirring, until they are soft and release their scent, or about three minutes. Add the other tablespoon of oil and add the salt, red pepper and quickly sauté the okra slices, bell pepper and collard green ribbons for another three minutes. Add the rice, black eyed peas and soumbala and cook, stirring, until heated through, about 5 minutes. Stir repeatedly to keep it all from burning and monitor the heat. If you choose to add eggs, cooked shrimp or leftover meat, add at this point and heat through another three minutes. Send to table hot. Dear. Mr. Twitty. Your book is amazing and I am looking forward to trying out your recipes this month, especially this one for my African-American history students – and maybe the entire school if I can do it. Unfortunately, I can’t find any soumbala or netetou powder anywhere. The suggested link works but they are on backorder. Failing this, are there any suitable substitutes?